I woke up today to the front page article by Joseph Luiz in the The Bakersfield Californian, above the fold, titled Record Breaking: BC graduates biggest class in school history. Read all of it at https://tinyurl.com/ybnmz7a8. Congratulations to the Bakersfield College Class of 2018! Last night we had a record breaking historical evening. Our college has grown so much over the century. In 1913 we began with thirteen students and this year we have almost thirty-two thousand students. And last night we celebrated the highest number of eligible graduates to obtain an associates degree in our history. With more than 2,000 students eligible for graduation this year and nearly half of them walking the stage, Memorial Stadium was packed with family and friends of class of 2018 graduates for the 104th Commencement. Last night there were many firsts: we celebrated the first Dual Enrollment class from the Wonderful Academy, graduating with their Associates Degrees before they even complete high school; and we celebrated the first graduating cohort of the Kern Promise, a select group of students who piloted a Guided Pathways model of shared responsibility and support to complete their degree within 2 years. And, this year Bakersfield College became the first community college in the State of California to award a four-year baccalaureate degree (!) to seven graduates of the Industrial Automation program. It was a beautiful event for such a monumental occasion in our students’ lives. 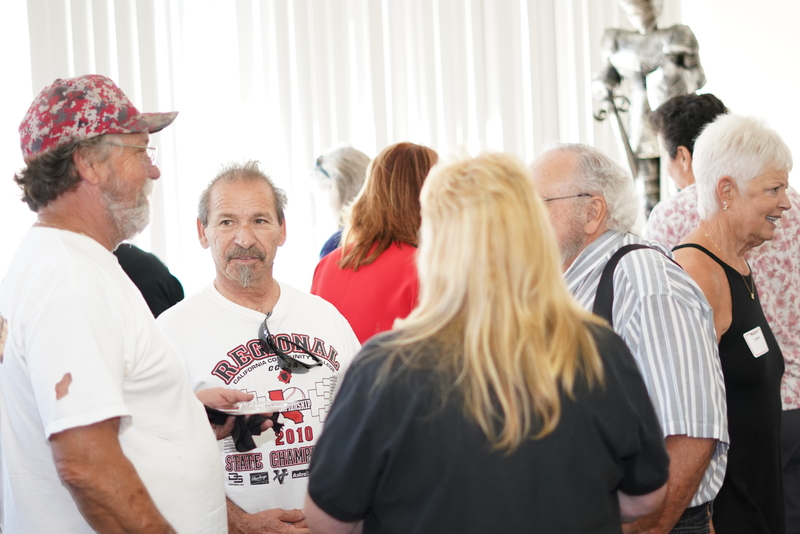 Also in attendance were Presidents Greg Chamberlain and Sandra Serrano, and two who served as presidents in an interim capacity, Bob Allison and Nan Gomez-Heitzeberg. 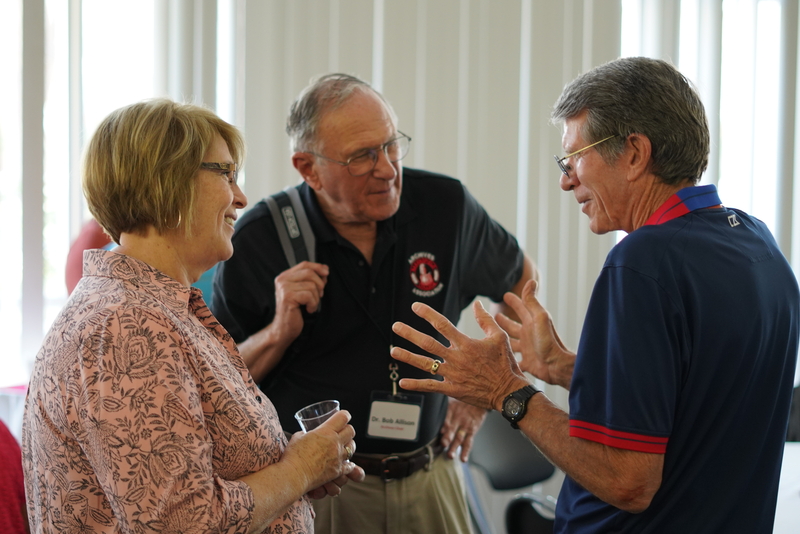 Three trustees attended – Trustee Agbalog, Trustee Carter, and Trustee Thomas. Chancellor Tom Burke also attended. We were fortunate to have lovely weather, and what a fantastic fireworks display. Dr. Jennifer Garrett, the Sam McCall award winner could not be there, so she recorded this powerful message for the class of 2018. Commencement is such a large event and takes a lot of teamwork to pull it all together. Chances are if you saw someone with a Renegade Red shirt and black pants or skirt, they were working the event. I would like to thank the College Commencement Committee: Karimeh Amin, Gayla Anderson, Paul Beckworth, Ralph Burnette, Cheryl Caswell, Christopher Counts, Victor Diaz, John Gerhold, Christy Haycock, Eryn Justice, Jennifer Marden Serratt, Gabriele Martin, John Menzies, Rachell Morehouse, Michelle Peña, Jack Pierce, Ramon Puga, Kristin Rabe, Corny Rodriguez, Monika Scott, Marco Sifuentes, Pearl Urena, Sue Vaughn, Angelica Vasquez, and Steve Watkin for all their hard work and planning. I also want to thank the many staff and faculty needed for details, preparation, and who participated in Commencement. See the gallery and article at Bakersfield.com! Congratulations Industrial Automation Baccalaureate Students! Before we celebrated the historic accomplishment of BC’s first graduating class of baccalaureate students during our main commencement, the recipients of our Bachelor of Science degree in Industrial Automation had their own special Pre-Commencement Celebration in Renegade Park. During the Industrial Automation Pre-Commencement, many of the faculty who worked closely with our seven baccalaureate graduates got an opportunity to speak about how proud they were of their students’ accomplishments and what they had to overcome to complete this new degree program. Through our Industrial Automation program, which focuses on the engineering and development of assembly line and manufacturing technology, BC is giving members of our community an opportunity to train in one of the most important skill sets of the future workforce. Employers say that our Industrial Automation program is on par with similar programs offered at other major universities in California and across the country. Industrial automation is an important part of almost every industry in Kern County, including agriculture, oil production, and alternative energy, as well as the major corporate retail distribution centers in our area that rely on machine automation technology to get their products ready for shipping across the United States. Our graduating students are already being flooded with job offers. I’d like to thank the Engineering and Industrial Technology Department for organizing this pre-commencement ceremony, and I can’t wait to see how our baccalaureate program is going to support and help transform the economy of the Central Valley. While many of our faculty and staff were engaged with our Closing Day ceremony on Friday morning, students who attended classes at the Delano Campus had their own pre-commencement ceremony in the Robert F. Kennedy Auditorium. Graduating students walked across the stage of the RFK Auditorium for all of their friends and family to celebrate the monumental task of earning a college degree and discovering the tools to increase their earning potential and provide a better life for their children and the Delano community. Chancellor Tom Burke, Trustee Romeo Agbalog, and Nan Gomez-Heitzeberg were on hand to congratulate all of the Delano graduates. I’d like to thank Gustavo Enriquez and all of the faculty and staff at the Delano Center for organizing this Pre-Commencement ceremony and all they do for students in rural Kern. Eventually, we’ll be hosting Pre-Commencement at BC Southwest, Arvin and all of our current and future satellite campuses. Eleven of our graduating veteran students got one last opportunity to have sacrifices that they made to our country be recognized and honored by BC faculty and staff in the Levan Center, capping off an academic year that included BC committing to building a new Veterans Resource Center and expanding educational services to the military men and women in our community. 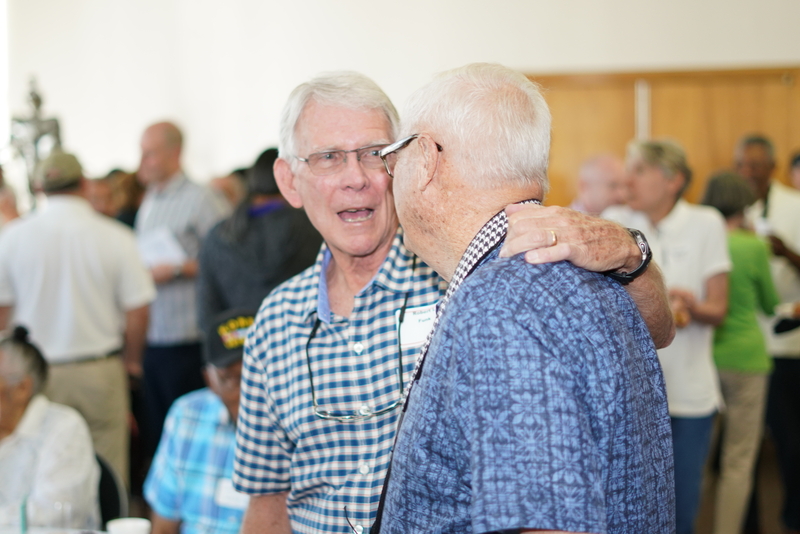 Graduating veterans were treated to a celebration ceremony where they each got to shake hands with Veteran Center director Paul Beckworth before heading to the Gymnasium for dinner. 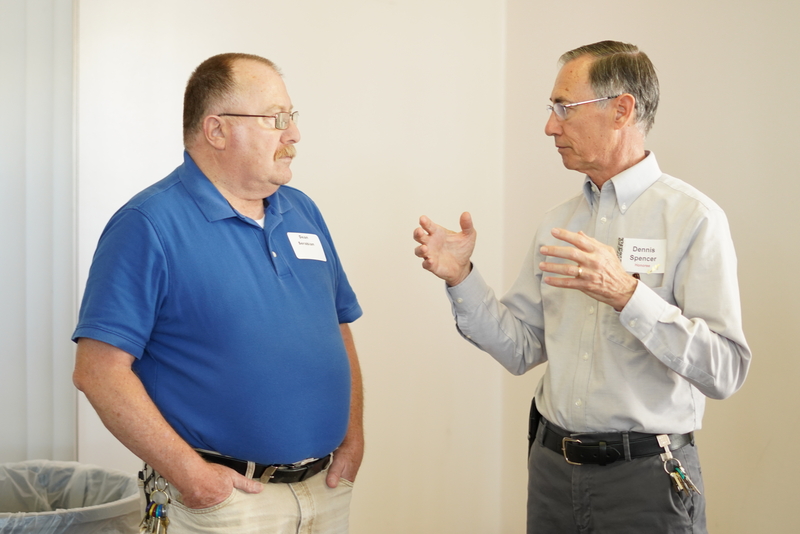 A big thanks to Paul Beckworth and the Veterans Resource Center for organizing the Veterans Pre-Commencement Celebration, and check back at this blog for more information about the Veterans Resource Center construction as it develops. Chicano and Latino families from across Kern County filled the Outdoor Theater before the main Commencement ceremony to rejoice in the accomplishments of their students who graduated from BC, and many of those who participated are first generation – first in their families to graduate from college. The Chicano/Latino Pre-Commencement Celebration is BC’s oldest pre-commencement event, started by Dean Cornelio Rodriguez over 20 years ago to recognize BC’s Chicano and Latino graduates. Since that time, it’s grown rapidly as Chicano and Latino students are a majority of BC’s student population. I’d like to thank everyone who helped organize the Chicano/Latino Pre-Commencement Celebration, as well as the faculty and staff members who donated money at the last minute to help students that needed assistance in order to participate. It’s amazing to see all of the ways the community continues to support its students. Graduating African-American students got the opportunity to fellowship with each other and celebrate their accomplishments with their friends and family in the Indoor Theater on Friday afternoon before the main commencement ceremony. This year’s African-American Pre-Commencement Ceremony began with the audience singing James Weldon Johnson’s “Lift Every Voice and Sing”, with lyrics voicing the liberation and affirmation of African-American people. The words to “Lift Every Voice and Sing” were first written as an introduction for Booker T. Washington ata celebration of Abraham Lincoln’s birthday in 1900. Its message continues to reverberate to this day, and was recently performed by Beyonce at this year’s Coachella Valley Music and Arts Festival. I’d like to thank the African-American Initiatives team for organizing this pre-commencement event and all they do to support our African-American students. Thanks in part to their efforts, the educational attainment rates of our African-American students are higher than they’ve ever been. Commencement Celebrations, the Lavender Pre-Commencement Celebration is a ceremony conducted on numerous campuses and this year Bakersfield College joined this tradition. Lavender Graduation is a cultural celebration that recognizes sexual and gender minorities and their allies of all races and ethnicities, and acknowledges their achievements and contributions to the college. Professor of Communication Helen Acosta and Director of Student Life Dr. Nicky P. Damania facilitated the ceremony which consisted of a keynote presentation by Ms. Whitney Weddell, high school history teacher and vocal stylings of Ms. Danyel Owens, Department Assistant in the Office of Student Life, and heartfelt stories shared by three Lavender graduate students. This year yielded 13 graduates who were bestowed a lavender stole with a rainbow embroidered on them. The ceremony was attended by about 20 BC faculty and staff, over 30 friends and family, and a special guest Chancellor Tom Burke. The tradition of Lavender graduations celebrating LGBTQIA+ students started in 1995 at the University of Michigan in Ann Arbor, spreading to hundreds of campuses across the country over the last 23 years. This ceremony is also the start of BC’s efforts to expand our equity plan support to lesbian, gay, bisexual, transgender and other gender non-conforming students under California Assembly Bill No. 1018. You can read more about inception of the Lavender Graduation in this May 2nd Renegade Rip Article. The Radiologic Technology celebrated it’s 49th year at BC during the Pinning and Certification Ceremony held on Thursday evening, May 10, 2018. The evening celebrated the hard work and dedication of 18 medical imaging students and their completion of the Associate in Science Degree. Students spend twenty-four months and 1800+ hours training at local hospitals and imaging centers. These clinical affiliates give their time and talents to these students to ensure they meet the competency standards necessary to ensure that patients receive excellent patient care – in addition to students completing lecture and lab courses at the main campus. These graduates will be entering careers throughout Kern County including Bakersfield and Delano, and in Tulare County in Visalia in summer 2018 following the completion of their State and national licensing examinations. Also recognized during the ceremony was Program Director Nancy Perkins who has served BC since 1979 and will enter into retirement in 2018. Past and current faculty together with the community has started a scholarship fund for radiography students in her name through the BC Foundation. In addition, a “bench” project has begun to raise funds for seating around the Allied Health building for students to enjoy. A plaque was also awarded to Mrs. Perkins, and which will be permanently displayed in the campus x-ray lab. “I am so honored to have lived my passion my serving at BC teaching the next generation of medical imaging professionals. Both BC and the radiology community have supported me in my journey and assisting me in developing a modern laboratory for student exploration and instruction” Nancy said. 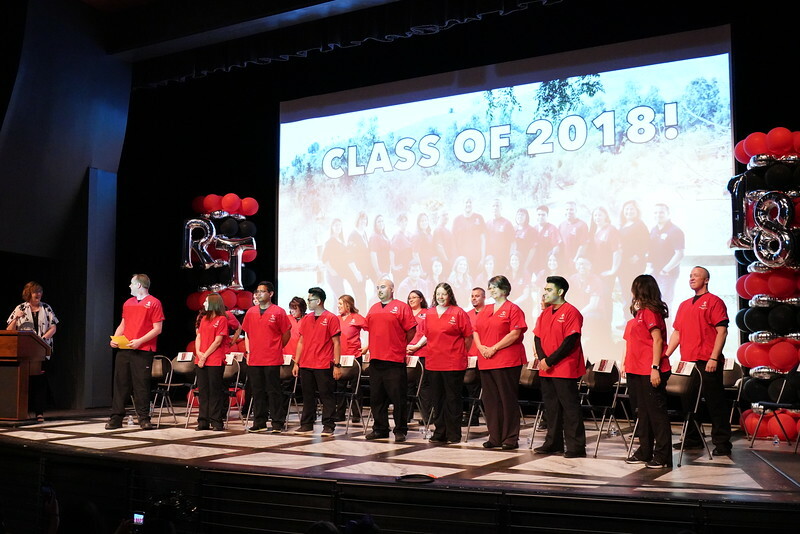 You can view all of the photos taken by Manny De Los Santos at 2018 Rad-Tech Pinning Ceremony. 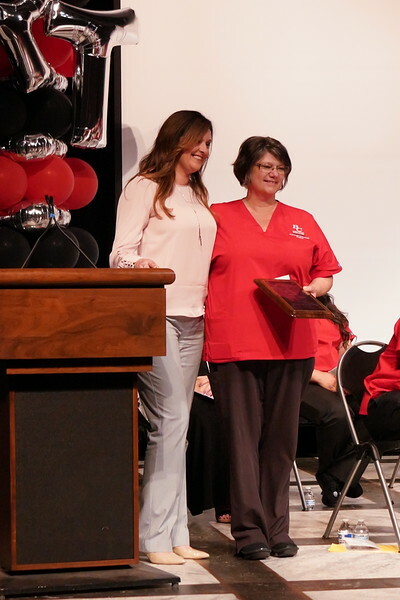 I’d like to thank Nancy Perkins and the Radiologic Technology staff and faculty for organizing this pinning ceremony. 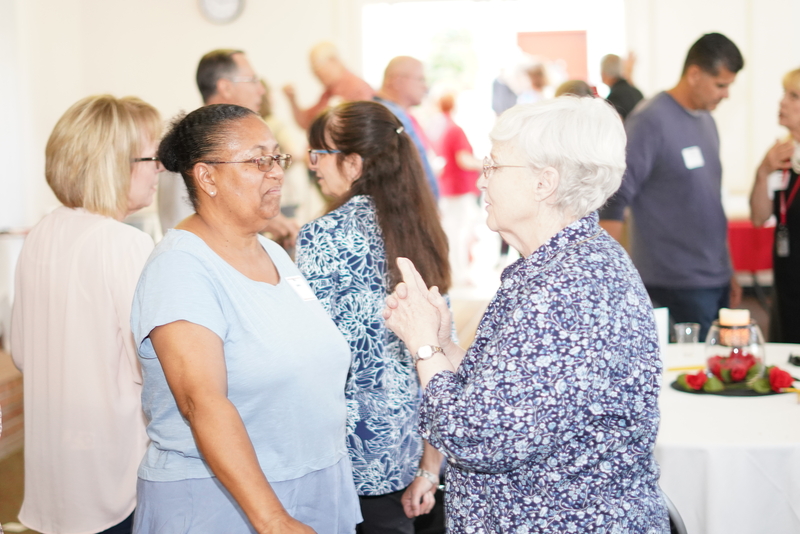 On the morning of Commencement, BC faculty and staff commemorated the end of the 2017-2018 academic year with the annual Closing Day Celebration, recognizing each others’ accomplishments with our traditional end-of-the-year awards. After some brief fellowship during a delightful breakfast buffet provided by Food Services, faculty and staff piled into the Indoor Theater to hear opening remarks from outgoing BCSGA Vice President Lawrence Salcido. Higher education is a pursuit following hopes and visions. The 2018 Guided Pathways leads, Jennifer Johnson, Jessica Wojtysiak, Nick Strobel, Grace Commiso, and Lesley Bonds have made great strides toward creating systems and programs that fast track dreams into realities. They have been traveling up and down the state to communicate BC’s implementation of this important educational philosophy while putting together our Program Mapper and reconfiguring our curriculum via meta-majors. The Guided Pathways leads continue to do incredible work surrounding the Momentum Points, Coaching Communities, and engagement campus-wide. Under the guidance of the African-American Initiatives team, Steve Watkin, Jennifer Achan, Paula Parks, Jonathan Ward, Julian West, Debra Strong, Tommy Tunson, June Charles, Valerie Robinson, and Ishmael Kimbrough, the African-American cohort of approximately 800 students in 2017-18 have increased completion in both college-level English and/or math by nearly 10%, increased transfer degree course completion by 14%, and the team has increased the success rate for students who participate in our Umoja ASTEP program by up to four times the rate for non-Umoja African-American students. The work of this group has also been recognized by the community, with Bakersfield College winning Corporate Partner of the Year by the Kern County Black Chamber of Commerce, as well as individual recognition for Julian West, Steve Watkin and Paula Parks by the Martin Luther King Jr. Community Center, the League for Innovation, and NAACP. When it comes to going the extra mile for BC, Tina Chamberlain in the Office of Instruction has walked a thousand miles. She truly embodies the Renegade spirit with her undeniable commitment to our students and diplomatic yet polite problem solving skills. Tina ensures courses are scheduled and students are served. The Workgroup to Advance Regional Baccalaureate Attainment (WARBA), chaired by Matthew Garrett and Janet Fulks and including leaders Elenora Hicks, Marisa Marquez, Grace Commiso, Khushnur Dadabhoy and Stephen Waller, have been diligently collaborating with Cal State Bakersfield to establish the Finish in 4 campaign, as well as aligning our curriculum and pathways with the California Academic Partnership Program. This work is revolutionizing higher education for current and future generations of Renegades. Everyone on the campus is closely involved with creating our Institutional Self-Evaluation Report (ISER), but the campus leaders of our ISER Finish Line Team have dedicated hundreds upon hundreds of hours to put all of the information together into a cohesive document that seamlessly tells BC’s story. I recognized Nick Strobel, Sondra Keckley, Liz Rozell, Jessica Wojtsiak, Jason Stratton, and Lesley “the Universal Chopper” Bonds for all of their hard work in collecting, editing, indexing and “chopping” the final document. Michelle Pena of the Admissions and Records team works tirelessly to ensure that our students are supported at each pivotal point in their journey toward graduation. Michelle also represents BC state-wide through the development of CCCApply, and she was recently elected Vice President of the California Association of Community College Registrars and Admissions Officers. 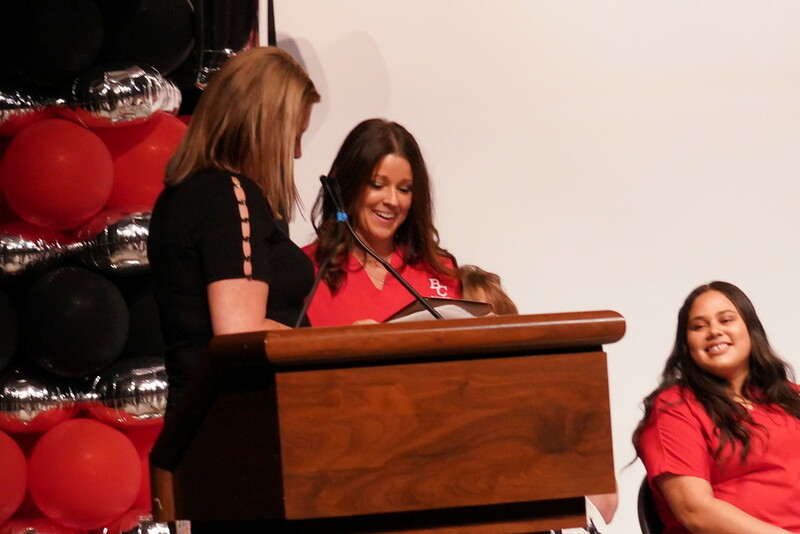 In her first year as head softball coach, Casey Goodman lead the Renegades to winning the WSC conference with a 31-9 record en route to winning WSC Conference and Southern California Coach of the Year. Wrestling coaches Brett Clark and Marcos Austin led the Renegades to winning the conference for the second year in a row, along with five individual conference titles and a state championship victory by student Adrian Gonzales. Did you know that student athletes at BC attempt an average of 15.2 units per semester and finish at an average of 12.5 units? This is nearly twice the average of the school overall. The Maintenance & Operations team is responsible for the monumental undertaking of caring for the landscaping, plumbing, custodial work and infrastructure of over 150 acres and 20 buildings, keeping us comfortable in every classroom and office on campus. This year, they’ve facilitated office moves for 52 faculty and staff and completed 5,320 work orders. When it comes to sharing BC’s story through beautiful photos, videos and words, Manny De Los Santos and Monika Scott, M&M, make it happen. Manny brings an excellent attention to detail and a creative spark to all of his video and photography work and his talent, enthusiasm and gregarious personality make him a pleasure to work with. Monika came to BC thinking her job duties would involve web content editing, but when her interim supervisor went on maternity leave, Monika stepped up to the plate. She found herself reporting directly to me and dealing with everything from fielding news media calls, sensitive Clery Report notifications working with Chris Counts, and preparing last-minute remarks for public events. She has become my go-to for speech preparation. In fact, she has had a major role in speeches at BC for many formal events. As Academic Senate President, Steve Holmes is engaged and vigilant in his responsibility of upholding the integrity of our academic enterprise. Steve was also awarded this year’s Margaret Levinson Faculty Leadership Award (announcement made by Pam Boyles), and along with Zav Dadabhoy, he gave a fun farewell to retiring Vice President Nan Gomez-Heitzeberg. He never fails to liven up our opening and closing day ceremonies. Zav and Steve, or is it the other way around? 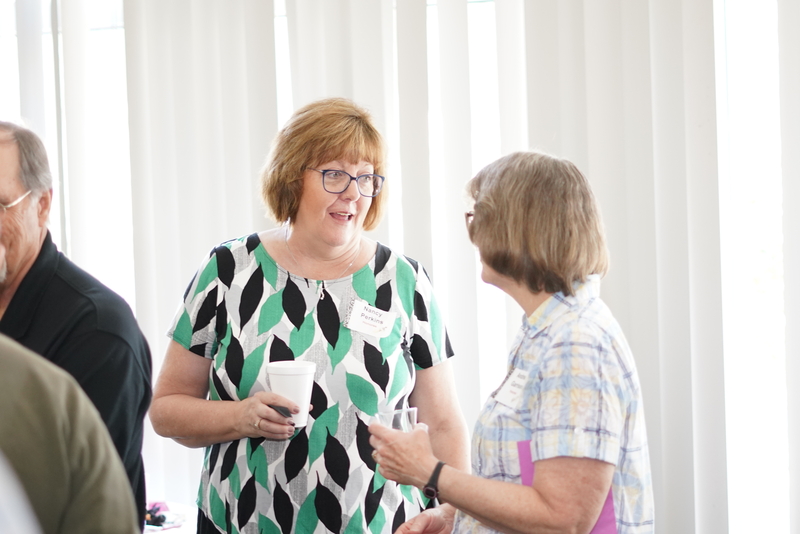 Donna Starr announced retiring biology faculty Andrea Garrison and physics faculty Richard Darke as the recipients of the Shirley Trembley Distinguished Teaching Award. Starr also announced the Norman Levan Faculty Colloquium winner Rae Ann Kumelos, a member of the English faculty who will be hosting a discussion titled “Animal Advice” in the Levan Center next fall. In addition to the Faculty Colloquium Award, incoming Levan Center director Reggie Williams announced the winners of the Levan Faculty Scholarship Summer Grants, which funds research projects for BC faculty. Some notable projects funded through this year’s grants include Biology Department Chair Joe Saldivar’s research project on the ethical impact of donating a kidney to a complete stranger, and the recording of music professor Josh Ottum’s studio album, which will be mixed by students in BC’s commercial music program and performed by Josh’s band during next fall’s Panorama Creative Music Summit. Matthew Garrett recognized all of the retiring faculty members during the Closing Day Celebration, and Liz Rozell recognized the BC faculty which have achieved tenure this year. 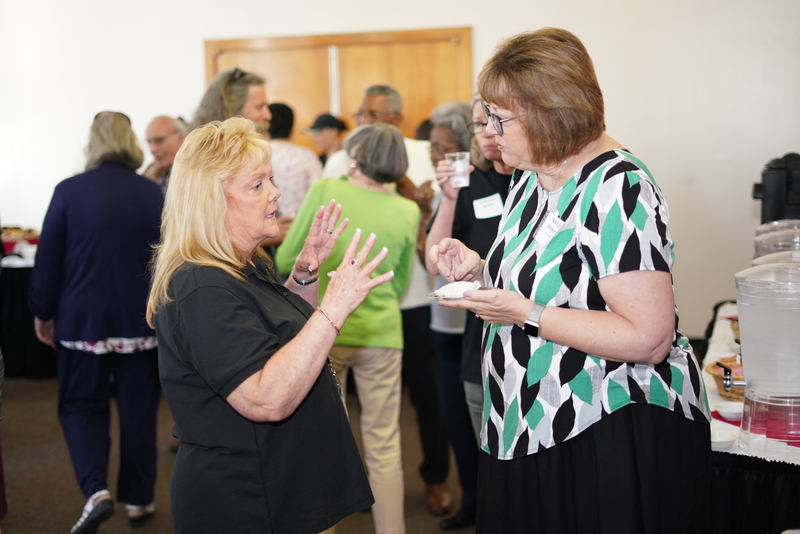 CSEA President Tina Johnson urged us all, BC faculty and staff, to “take a breath” with the close of this academic year, and CCA Campus Chair Isabel Stierle encouraged faculty to submit their application to participate in the CCA Special Election by May 21st. 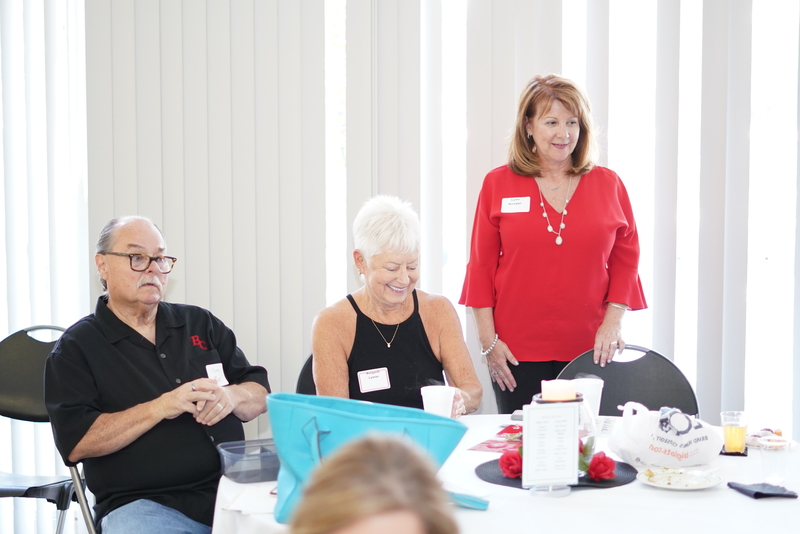 Management Association President Sue Vaughn announced the Management Association’s presence in Board Policy meetings, and she was excited to announce that the construction of the Child Development Center’s playground is nearing completion. It feels like this year came and went so quickly, and I’m just grateful for the opportunity to wrap it up with the best community college staff on the planet during every Closing Day. Can you see why I always sign off as the luckiest and happiest president? Thanks to everyone who attended this year and all of those who make this event possible every year. 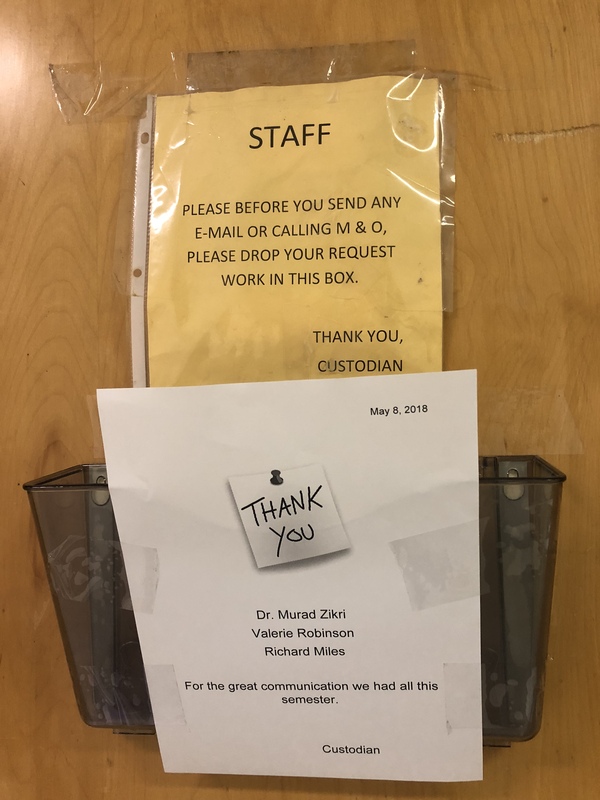 Custodian Carlos Barbaran left a nice note to BC faculty thanking them for all of the great conversations and congenial work environment they provided for him throughout the semester. Carlos is always a pleasant and fun person to talk to, and everyone at BC is grateful to have him on our custodial staff. 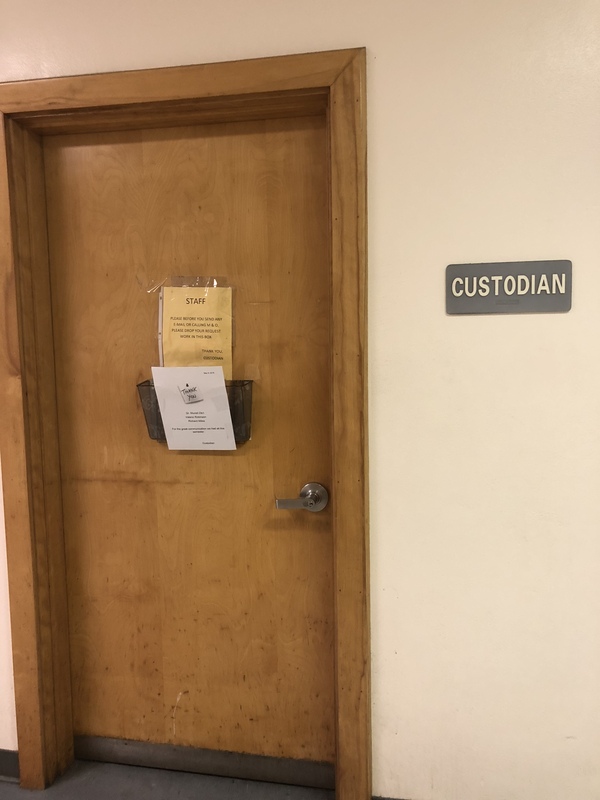 We spend a lot of time talking about the hard work of many of our faculty, counselors and other classified staff, but I’d also like to thank the Bakersfield College custodial staff for tirelessly keeping our campus spotless throughout the year. It’s not easy to clean up after 30,000 students and 1,000 employees, and our custodial staff takes care of us with smiles on their faces. 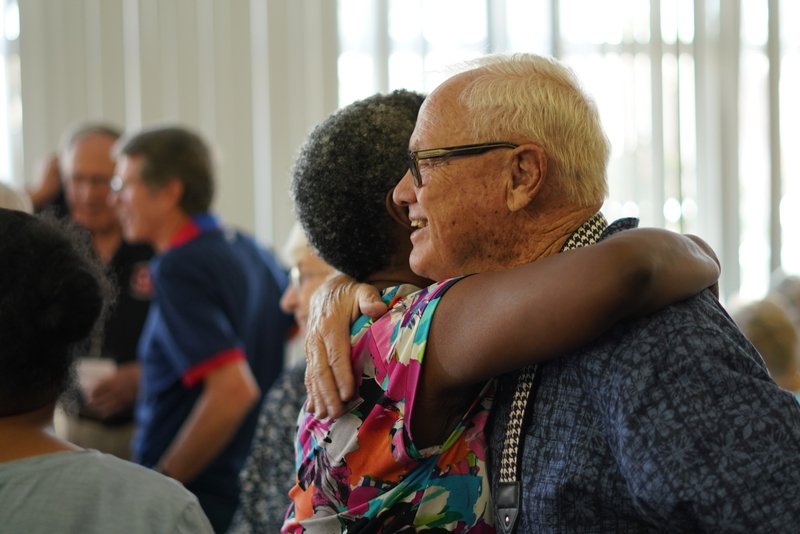 As we say goodbye and good luck to our graduating students, the end of the school year also brings about the farewell to some of our colleagues as they retire. On Wednesday morning, Bakersfield College held a Retirement Reception in the Fireside Room to honor this year’s retirees: Barbara Braid, Deborah Carmona, Marsha Eggman, Rafael Espericueta, Kathryn Freeman, Andrea Garrison, Nan Gomez-Heitzeberg, Odella Johnson, Janet Lewis, Susan McQerry, Gilbert Merjil, Nancy Perkins, Kate Pluta, Bob Shimmin, Walton Simmons, Jimmy (Smitty) Smith, Dennis Spencer, Rachel Vickery, and Ann Wiederrecht. 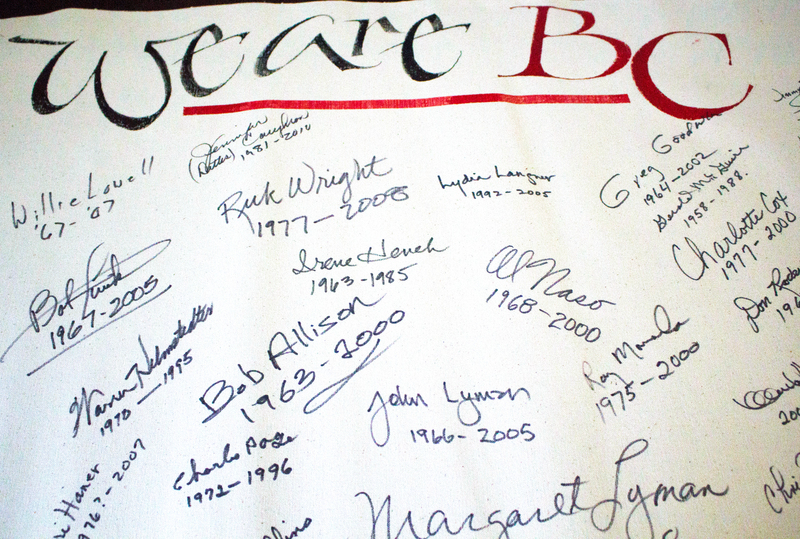 While eating a delicious food provided by Food Services, this year’s retiring faculty and staff signed the “Perpetual Retiree Scroll” featuring signatures of all our retirees and the years in which they served the campus. The scroll was started by the Archives Department in 2009 and the scroll itself will be retired after this year due to running out of space. The Archive Department plans to replace the retiree scroll with a more manageable book for next year’s retirement reception, according to Rosalee Pogue, Archives technician. 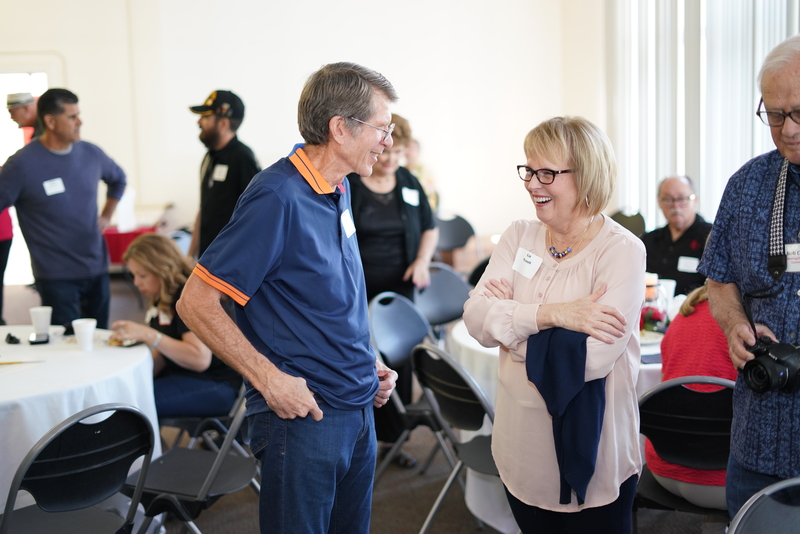 Thank you Archives for coordinating this opportunity to celebrate the contributions of everyone in the Bakersfield College family who has served our students and this community for decades. I would also like to thank the Bakersfield College Foundation and the Bakersfield College Archives for co-sponsoring this event with me. 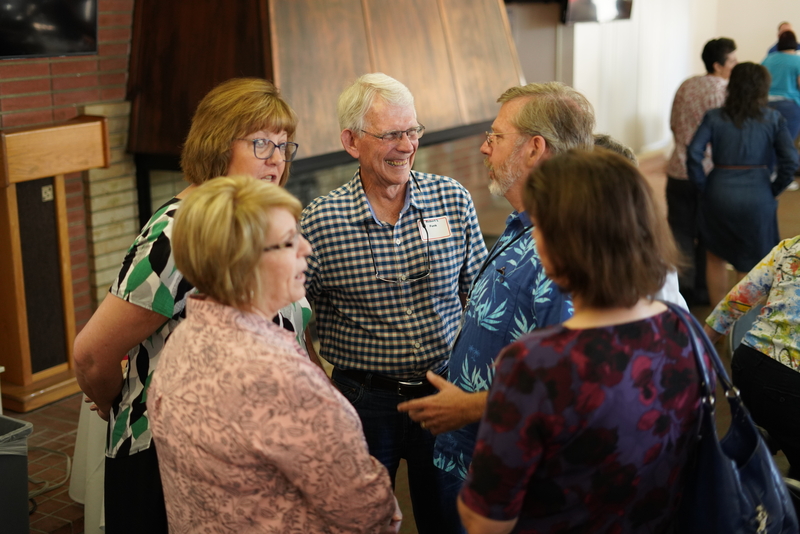 You can see the entire photo gallery: Retiree Reception 2018. 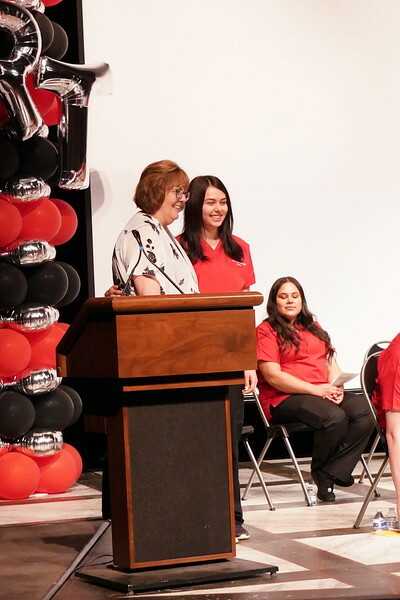 Bakersfield College (BC) and California State University, Bakersfield (CSUB) have spent the last 4 years collaborating to increase baccalaureate completion in 4 years. On Tuesday, both institutions held a joint unveiling ceremony on the BC campus to introduce The Kern Promise’s Finish in 4. The new program supports the increase in student completion with an Associate Degree for Transfer in 60 semester units at BC. Students are then guaranteed admission to CSUB, in a similar major, and will complete an additional 60 semester units to earn a bachelor’s degree! This partnership is the first of its kind to exist within the state of California’s public institutions of higher education. The historic event was held in the Fireside Room, where Dr. Horace Mitchell, President of California State University, Bakersfield and I unveiled the Finish in 4 initiative, which will encourage students in Kern County to complete their transfer and baccalaureate degrees in 4 years from start to finish! The project is an expansion of The Kern Promise and is an unprecedented partnership between two local higher education institutions and focuses on benefits to the students and ultimately the community. The Finish in 4 efforts aim to guarantee students complete their transfer degree in 2 years at Bakersfield College and a baccalaureate degree in the following 2 years at CSUB. Together, the goal is to move students through to the next stage of their educational and career goals in a more efficient and impactful way. 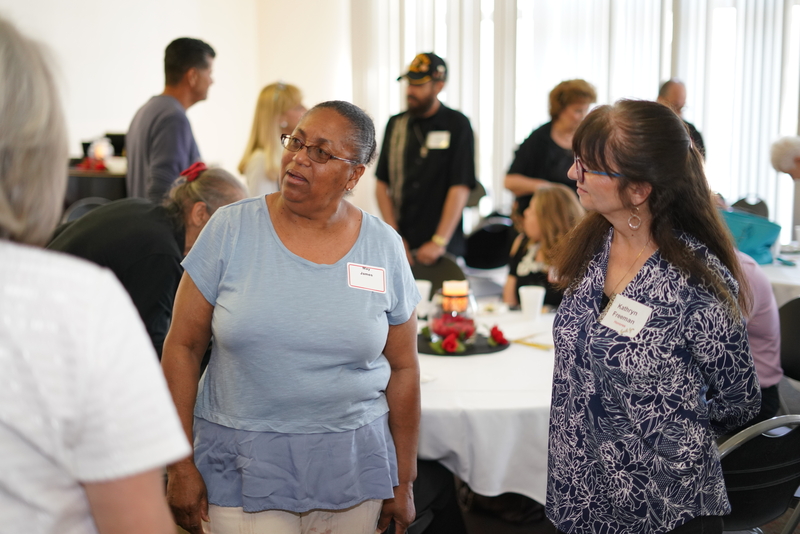 There is pivotal work ahead of us, with just 22% of Kern County residents 25 and older holding an Associate’s Degree or higher, compared with the California average of 39%. BC has adopted a guided pathways framework and by partnering with high schools to increase the number of dual enrolled students. We are intervening to clarify pathways before a student gets lost, decreasing time to completion, and closing attainment gaps. Finish in 4 is the next best thing aiding in student success. For the Kern County community, the Finish in 4 program creates a win-win situation for our students, our local and state economies, and taxpayer time while providing a rigorous quality education to give our students a clearly defined direction and ensure their success at an efficient pace. Bakersfield College was on hand for the Garden Pathways Sixteenth Annual High Tea 2018 in honor of Women with a Heart for Bakersfield last Wednesday. 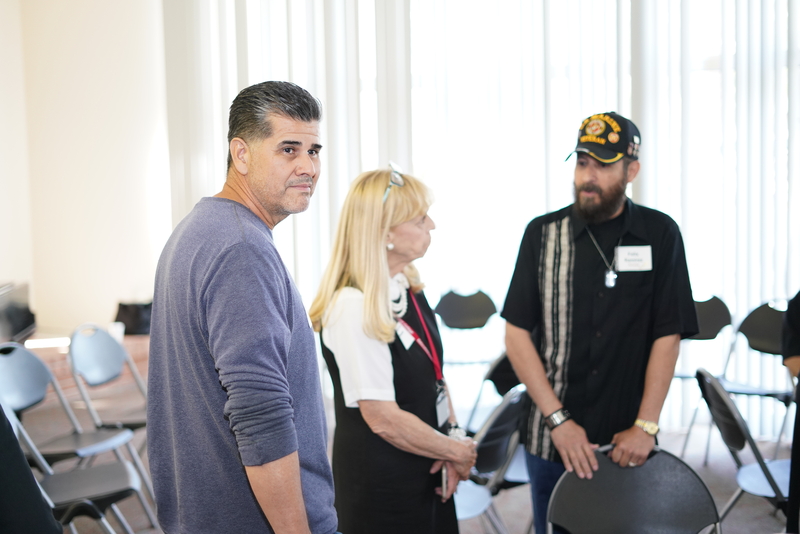 BC’s contingent, included myself, Vice President of Instruction Liz Rozell, Dean of Instruction Billi Jo Rice, Program Director of CTE Tony Cordova, and Director of Veteran Services Paul Beckworth. The sold-out event supports this important organization. Garden Pathways, founded by David and Karen Goh, is a community-based nonprofit that provides mentoring and education programs to children, youth and adults to improve family lives in Kern County. 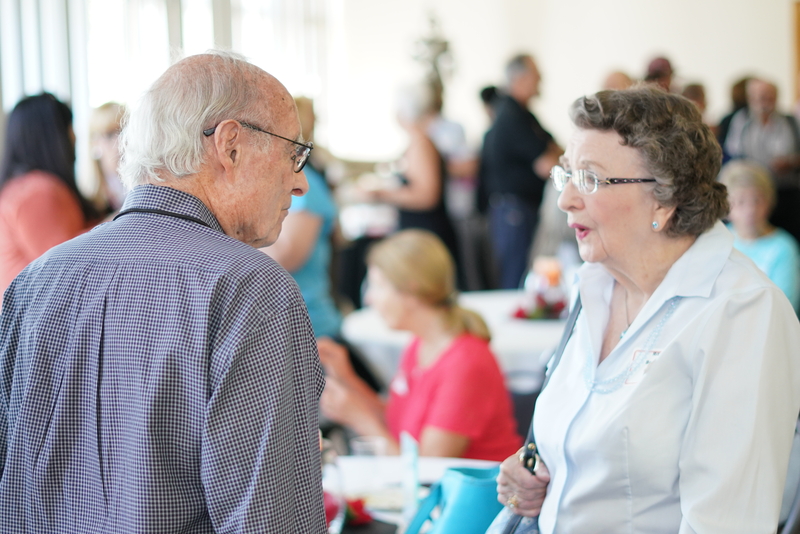 The High Tea event recognizes women within the community that have shown exceptional community service and leadership. 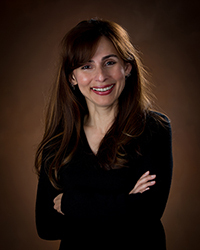 One of last year’s honoree’s was our very own History Professor Olivia Garcia. This year’s recipients included Beverly Camp, Robin Fleming, Janice Varner, and Lili Marsh who founded the Bakersfield hub of Honor Flight. Bravo to these strong, women who indeed have a heart for Bakersfield. In the midst of everything that is happening around the campus at the end of the year, we’d be remiss not to mention that May 6th through 12th is National Nurses Week, which recognizes the commitment of nurses around the country for protecting, promoting and improving health care for everyone. The American Nurses Association began celebrating National Nurses Week in 1954 in honor of Florence Nightingale, one of the founders of the modern nursing profession who was best known for treating soldiers wounded during the Crimean War in the 19th Century. This year’s theme for National Nurses Week was “Nurses: Inspire, Innovate, Influence”, according to the American Nurses Association website. 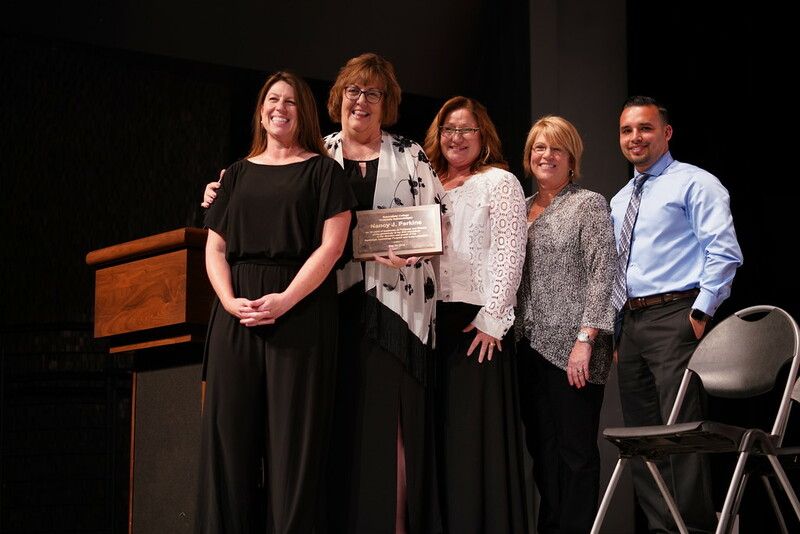 Bakersfield College is proud of its nursing department and the work we’ve done to train healthcare professional across Kern County that save thousands of lives every day. Last fall, BC celebrated its 100th graduating class in nursing, and it’s amazing to think about all of the people whose lives have been saved over the last century by BC nursing graduates. We had the unique opportunity to step inside Kern Valley State Prison’s B-Yard Monday, May 7th to participate in a Debate and Student Panel with BC’s Inmate Scholars Program. The topic of the value proposition was to debate whether the American economy was better off by allowing illegal immigrants to remain in the country. The two debate teams consisted of five inmate scholars, who each presented their case either for the affirmative or opposition. In a well-articulated researched, and engaging manner these scholars courageously took to the podium and challenged themselves and the audience through thought-provoking reasoning. This event gave the scholars an opportunity to showcase their communication skills and share with us their aspirations and future goals through education. There were a lot of heartfelt emotions bravely shared that day. Not to mention, a much deserved standing ovation for Chelsea Esquibias (Program Director) and Ms. Smith (faculty member) who have undeniably changed lives in their work with the Inmate Education Program. As part of our mission statement, Bakersfield College “provides opportunities for students from diverse economic, cultural, and educational backgrounds…to think critically, communicate effectively, and demonstrate competencies and skills in order to engage productively in their communities and the world.” No matter your circumstance or where you find yourself in life, I believe BC can provide a pathway towards opportunity. The Links, Incorporated has partnered with BC in the last year to focus on providing middle school and high school students and parents the opportunity to learn more about educational pathways in STEAM (Science, Technology, Engineering, Arts, and Math). Professors Kimberly Chin and Nick Strobel, and staff members from Job Placement with Stephanie Baltazar, have helped lead sessions for these students and parents in the past year, among others from BC. Today, Professor Chin’s students performed monologues they prepared for the participants and parents. 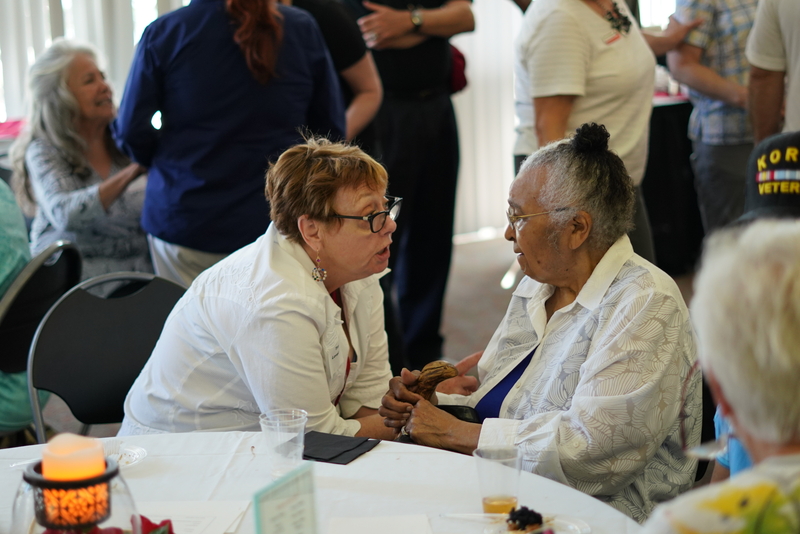 Odella Johnson, retired Professor, and Debra Strong, who currently works in the health center, made the connection with BC. We are BC Dang It! I ran across a student I worked with before who had been distraught and discouraged to the point to where she wanted to drop her classes. I encouraged her not to do so and walked her to the Writing Center, where Kim Arbolante started working with her. I had not seen the student since that day. Well, I saw Wednesday afternoon and she told me that she not only stayed enrolled, she passed her class! She only has two more classes to go for her degree, and she’s already signed up for summer school. She did not have graduation in her head. I basically ran her over to A&R at 5:25 where Linda Allday told her what to do TO GRADUATE AND WALK THIS FRIDAY NIGHT! This time tears of frustration were replaced with tears of joy. I know we are all tired but this is why we do what we do! I didn’t get a chance to say during my speech to you directly for the sake of time, but here’s as good a place as any so here goes! I want to thank you, as well, for everything you’ve done for the college and making sure the students remained the focus. I’ve learned a lot, found new passions, met lifelong mentors, and through much trial and error and error and error, found what it is I’m aiming for. I know the knowledge is what I’ll get from other schools, but it’s BC that gave me the tools to be successful in my education. As much as I want to stay, there’s a big world out there. I can’t wait to show everyone what I can do thanks to BC. Another great end to an academic year. I look forward to seeing what you write about the trip to Sacramento for the BOG meeting where they formally approved the $2.3M for our Guided Pathways work. What a wonderful summary of an unforgettable ceremonial. Congratulations to our graduates and to BC for achieving these historical milestones. My endless gratitude to our incredible faculty, staff and administrators for making these educational opportunities possible for our students…and for changing their lives forever!